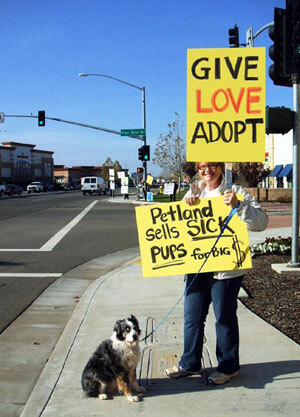 Protesters are in out in force every Saturday in front of PETLAND in Roseville. 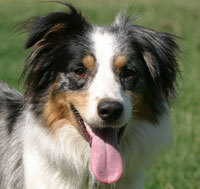 The Humane Society of the US has exposed them for selling puppies from puppy mills. Veterinarians have reported at least 6 pups purchased at Petland that had deadly Parvo. 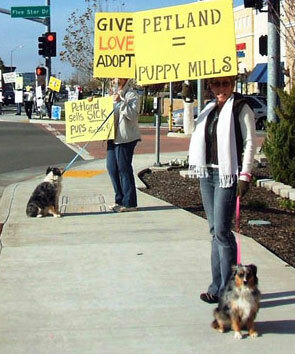 People need to know that buying dogs and cats from a petstore is wrong and supports abusive and unhealthy puppy mills. Folks usually meet at Starbucks on the corner.